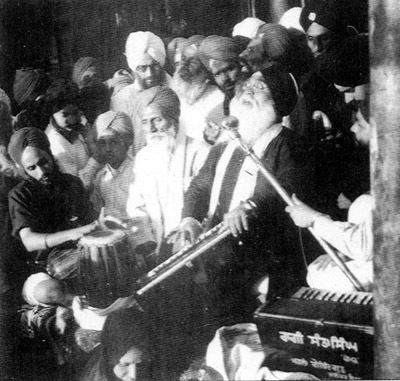 The Akhand Keertanee Jathaa (AKJ) is dedicated to the Sikh lifestyle. The Jathaa follows a strict discipline in keeping the Rehit of Guru Gobind Singh Jee. They also enjoy an active style of Keertan recited by Sikhs in a collective manner in front of Sree Guru Granth Sahib Jee. This style of Keertan is relatively simple, and the entire congregation devotionally participates in singing along. Bhai Sahib Bhai Randheer Singh Jee embodied this lifestyle of strict personal discipline. He wrote many articles on Gurbaanee and the Sikh Lifestyle which we hope will inspire you as they have many of us. He was a dedicated Gursikh who fought injustice and always remained in Chardee Kalaa (high spirits).